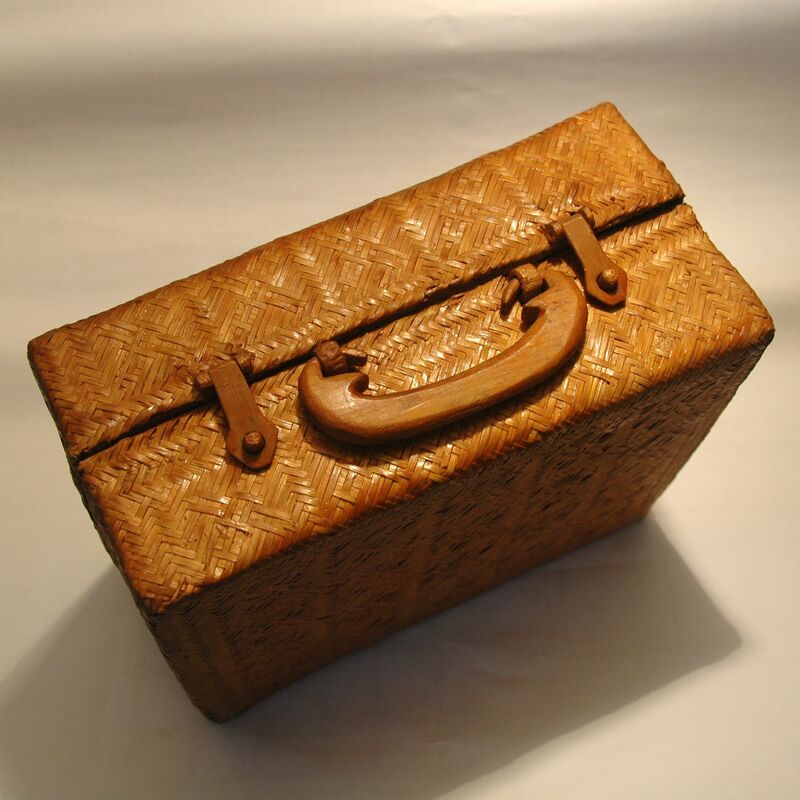 This is a bamboo case with all the parts; hinges, bolds, handles are made out of bamboo. This brings back a lot of memories for me, as a child of a folkcraft shop owners this is the version of the Bond’s gadget briefcase I had. Inside stored all my little treasures.